The Bachelors in Science in Quality and Regulatory affairs – certified by University of Limerick is a top-up degree for persons who already hold an NFQ Level 7 (ordinary) degree (180 ects) plus 3 years of relevant work experience. It is designed specifically by the medical technology companies to reskill or upskill existing employees to take up roles in the quality and regulatory affairs function that now require a level 8 qualification. It is also suitable for unemployed persons that meet the entry requirements. The BSc in Quality and Regulatory Affairs is a distance education course with 12 days classroom time over the 12 months. Participants attend face-to-face session 4 to 5 Saturdays during each semester and engage in distance education and online learning throughout the programme. 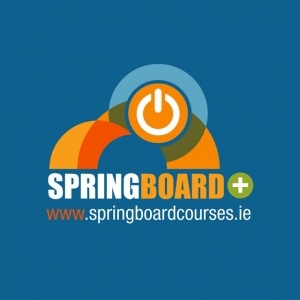 The combination of Saturdays on campus and online distance education supports Springboard+ participants in continuing to seek work and an option to complete the programme when they find employment. Each learner will also have the opportunity to participate in the UL Careers Development programme (CA4003 CAREER DEVELOPMENT 6 ECTS) which prepares learners with CV and career coaching, develops a LinkedIn presence, and interview skills. There will be approx 13 Saturdays of face-to-face learning plus online learning throughout the years programme. Applicants should have a NFQ Level 7 (ordinary) degree (180 ects) in a Science, Technology, Engineering, and Mathematics (STEM) discipline. Applicants should have 3 years work experience in a regulated sector. Applicants education qualifications, work experience; particularly in regulation, validation and compliance, their motivation and overall potential to be successful on the programme will be considered in evaluating an application. Applicants are required to meet the University of Limerick English Language requirements.